Your scones look nice and light and fluffy and good! Freshly baked scones are one of the best things! Kevin! OMG, I just took a look at your blog and I swear I nearly fainted from the incredible deliciousness of your work. Every single thing looks so gorgeous. I must add you to my blogroll. Thanks so much for stopping by. You really must try the scones! They are definitely a bit of fluffy goodness. Lovely scones... I think I can smell them! I happen to love scones and your recipe seems so easy. I'm writing it down for sure! Great job! Hello aran! Please try them. I just heard from a couple of friends who really loved them and also appreciated the ease of preparation, a winning combo for sure! mmmmmmmmmmmmm there's nothing nicer than fresh scones with raspberry jam and cream. 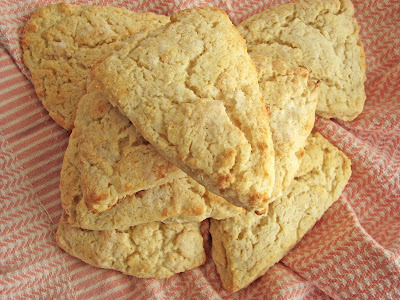 Less than half an hour after reading this post, I was pulling a batch of these scones out of my oven. They are sooo good. I made 9 huge scones out of them... and they were all gone within the hour. This recipe looks great! I can't wait to give it a try! I'm from south america and I want to know how to convert the measures (also I'm sort of confused with the meaning of the initials). Sorry if it's a stupid question, I'm not a professional, just love the pastry and I'm a self-taught person. Congratulations for your blog, was a great discovery for me. Too sad that I can't find someone like this in spanish. I hope this helps! Let me know if you still have questions. Thanks for stopping by, Fernando. And your inspiring texts and beautiful images looks great in RSS too! Thank you, tai and all commenters! I'm so glad you enjoyed them. No more bad scones! Fernando, I can't tell you how many times I've made dulce de leche. I think about how to find new ways to incorporate it into a new kind of dessert or pastry all the time! And now... I'll go to make cream scones! I'm way late putting this up, and Tai was even faster than I was to try the scones, but I was making them by Sat morning. They were out of this world wonderful, incredibly simple, so versatile, and I'll never buy another scone. I didn't add any ingredients, but after we made them some got a blackberry sauce drizzled and some got cinnamon and nutmeg sprinkled on, with a little honey. Both were great. During the prep, my three German shepherd flocked to the kitchen, trying to be noticed. It made for such a nice morning and with so little effort. Mary, thank you so much for the wonderful visual tableau of your kitchen. Blackberries, yes! These scones are THE BEST I've ever had. Hands down. It will be incredibly hard for you to believe this but I recently ordered white chocolate raspberry scones from a place called 'The Sconery.' They were moist, flaky and possibly the best scones that I have ever tasted. They arrived frozen and baked fresh in just 20 minutes. Try them before you knock them! Mmm....I am hunting for a good, traditional cream scone recipe to bake scones for Christmas gifts. Planning to package them up with a little jar of homemade lemon curd. These look just perfect. 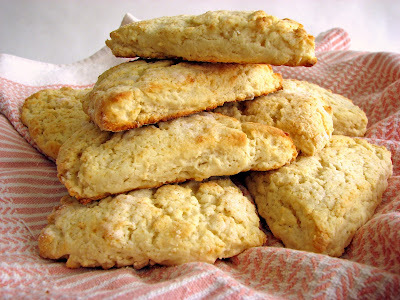 Why would anyone ever want to "order" anything when cream scones and cream biscuits (same recipe with 1/2 the sugar) are SOOO easy and fast to make. Homemade stuff is ridiculously simple, people. Don't let the marketers fool you. I work 40+ hours a week with kids & I bake regularly. It teaches you serenity & patience--2 things I have often lacked! I can't wait to do the same with "mini" scones, to go with my teas. THANKS SO MUCH!! I gave them a try and loved it! So light and fluffy. Amazing scones. Definitely bookmarking this recipe. 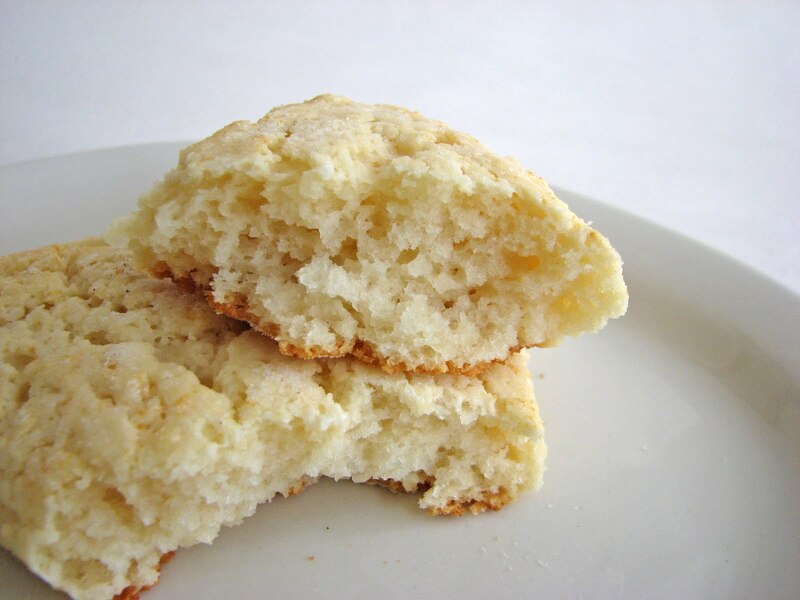 I made this cream scone from your recipe and loved it. As I was making this scone again today and realized you didn't add any butter in your recipes, just checking if this is correct or did I miss something. Hi Nadia. Good question! You'll find lots of scone recipes with butter or a combination of butter and cream. 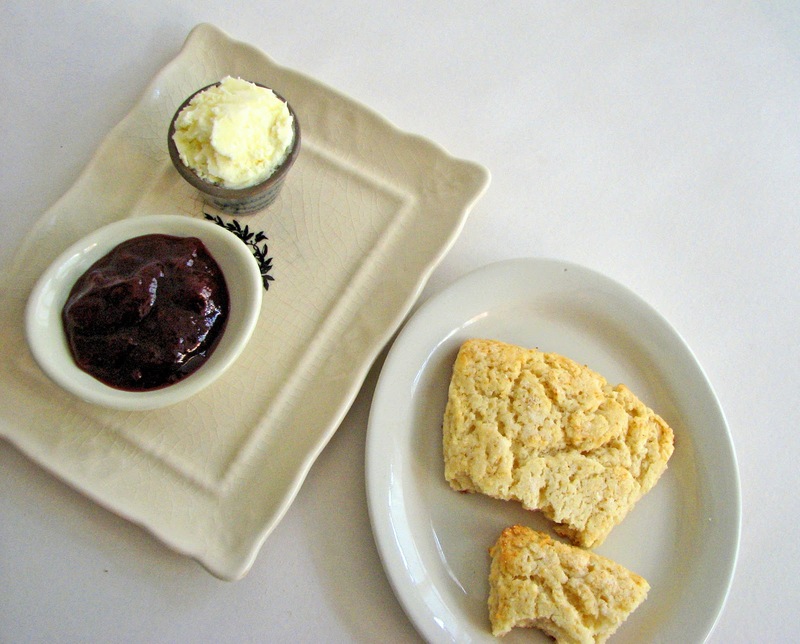 This particular scone is made simply with heavy cream. When cream is the only fat, they scones tend to be lighter and more tender. Glad you enjoyed them!